The communications team has developed poster templates for faculty and students to use in the poster design process. 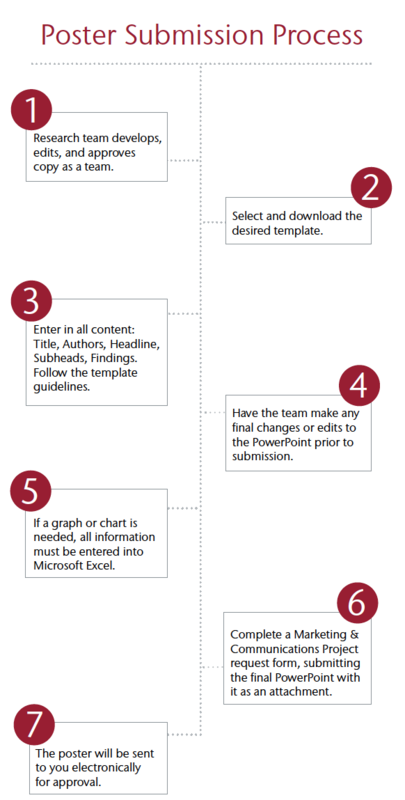 Templates were created in PowerPoint and will be used as the tool to provide the designer with all final, approved copy. The poster templates follow WSU branding rules and also allow the research team to see how data and information will or could look like in a final, designed poster. All documents needed to complete a poster design and submission are located in the right sidebar of this page.